I am writing to you to clarify some ambiguity surrounding Anna Leonowens Gallery and the Administrations’s contention that it is a public space. 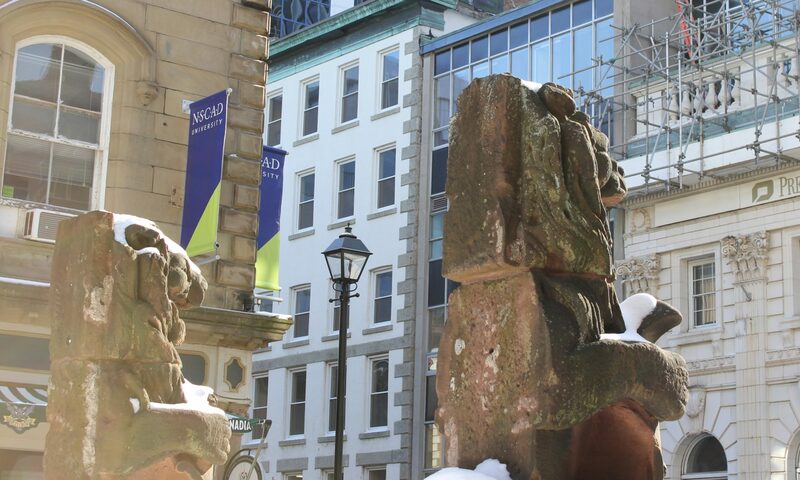 The first memo that we received from Dianne concerning practicalities if we were to go on strike indicated that, once on strike, setting foot on NSCAD property would be considered trespassing. After MFA students realized that this meant faculty could not see their exhibitions (the next 6 weeks of programming at Anna Leonowens consists of graduating MFA exhibitions) they complained to the Administration. This resulted in a change of position concerning the Gallery, the Bookstore and the Library. The Administration indicated that, because these are public spaces, we could enter them. This change resulted in confusion about whether we could go to the MFA exhibitions or not. FUNSCAD recognizes that Anna Leonowens Gallery is a space open to the public, yet it is also a space that is often related to faculty’s teaching responsibilities. The current and upcoming MFA exhibitions by Graduate Students are the culmination of two years of intense studio work and devoted instruction by many faculty. They are the final academic deliverable for an MFA degree. Our strike action and consequent withdrawal of our teaching work means that faculty who advise exhibiting students should not enter the gallery to see the exhibitions. These exhibitions have been developed in conjunction with the dedicated instruction and supervision of the faculty. I personally know how devoted we are to our students and how painful it will be if we aren’t able to share and participate in this important part of their experience in our MFA program. The onus is on the Employer to return to bargaining table so the strike can be resolved quickly without further negative impacts on our students.